Make sure the item is correct before installing. • Coolpix A. • Coolpix P7800. • Coolpix P7700. Nikon D90 D5500 D5000 D5100 D5200 D3100 D3200 D7000 N3 D750 D610 D3400. A shutter release button lock is available for long exposures shooting and continuous shooting. It has happened on occasion, but this is very rare. The MC-30A has a 10-pin plug and works with any Nikon with a 10-pin remote port. We appreciate the opportunity to resolve any problems. Nikon F & F2. Tested on a Nikon F. Mounts over the rewind crank. 12" Shutter Cable Release. Condition is Used. Requiring only two "AAA" batteries, the backlit display gives you all the information you need to program your picture sequence. And it can be locked for long exposures in "bulb" mode. D810 D810E D800E D700 D500 D300S D5 D4S. - Instruction manual. Works well. Looks barely used if at all. Nikon F & F2. AR-2 Shutter Cable Release. Mounts over the rewind crank. · FE2 · D100 for cable release. Length about 30cm. Item model number:AR-3. Nikon PB-6 Bellows. Double Cable Release. Nikon D7500, D7200, D7100, D7000, D5500, D5300, D5200, D5100, D5000, D3300,D3200, D3100, D3000, D750,D710, D610, D90, Df. The digital images displayed have the most accurate color possible. However, due to differences in computer monitors, there may be variations in color between the actual product and your screen. YOU WILL RECEIVE THE ITEM EXACTLY AS IT IS PICTURED ABOVE. Nikon AR-2 Shutter Cable Release For Nikon F FTn made in Japan. open box but never used. Shipped with USPS First Class Package. 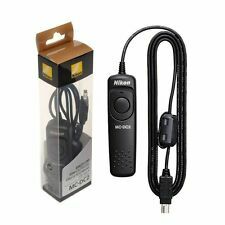 Nikon MC-36A Multi-Function Remote Shutter Release Cord for D4 D810 D800 D700 D3. 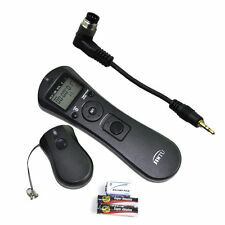 Remote shutter release. Compatible for Nikon. 10-pin remote plug. Key Features We appreciate the opportunity to resolve any problems. This item is in Excellent condition with little to no signs of wear. These can actually improve the sharpness of your photographs which are taken at maximum aperture & marginally handholdable shutter speeds. This is a used Nikon MC-21 Remote Release Extension Cord. 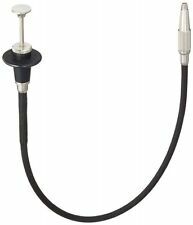 The MC-21 adds 10ft/3.05m of extension the MC-20, MC-22, MC-23, MC-25 or MC-30 remote release cords. This extension adds ten (10) feet to whatever you have now. Used Nikon MC12 A release. FOR D5300, D7100, D7200, D600, D3300 . 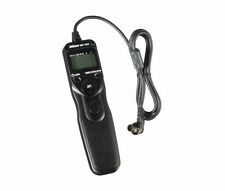 NIKON MC-DC2 REMOTE SHUTTER RELEASE. Free local pickup is available. OPERATES AS NEW, MINIMAL SIGNS OF USE. The picture is of the actual item. 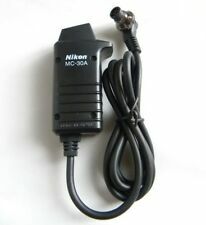 Nikon MC-DC2 Wired Remote Shutter Release Cord. 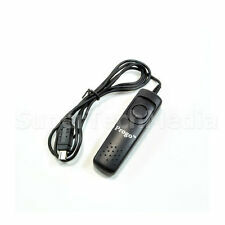 Nikon MC-DC2 Wired Remote Shutter Release Cord with Unlock for burst photography. Cord Length: 33.5 in. Key Features Lock shutter-release button for bulb exposures. Compatibility 1 of 3 : D100, Df, EM, F3, F3AF, F4, F4E, F4S, F60D/N60D, F-601/N6006. 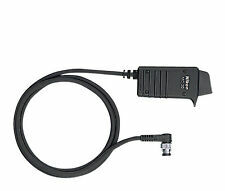 Nikon AR-3 Shutter Cable Release (Length: 30cm or 12"). Feature 2 of 2 : Allows single hand shutter release operation. 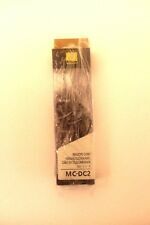 Nikon MC-DC2 Remote Release Cord New. Condition is New. Shipped with USPS First Class Package. For Nikon: N2000, N2020, F-301, F-501, N70, N8008s, F-801, F4s, MD-4, MD-11, MD-12, MD-15. We will cover the difference! ONENikon MC-12A Remote Release USED. Works PERFECTLY. We do not cover this expense. 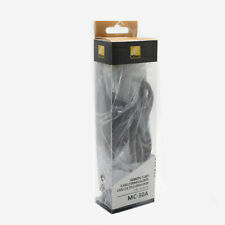 Nikon MC-DC2 Remote Release Cord 25395. The cord is 3.3' (1 m) long. Nikon: Z6, Z7, D90, D3100, D3200, D3300, D5000, D5100, D5200, D5300, D5500, D5600, D7000, D7100, D7200, D7500, D600, D610, D750, Df, D90 and COOLPIX P7700, COOLPIX P7800, COOLPIX A, COOLPIX P1000. Nikon AR-2 Cable Release (F, F2's, S) NEW in box, NOS. Nikon AR-4 ~ Double Cable Release. With Worn Box. Automatic diaphragm is available with the AR-4 even if the lens in the reversed position. 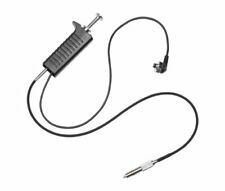 Our shutter release cables are inspected for wear and most importantly functionality to ensure the cable releases correctly without jamming. Functionally it is in perfect working condition. • Cash on pickup. 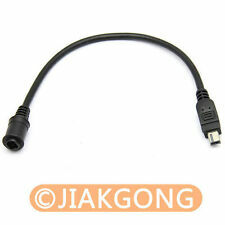 This is a Genuine Nikon AR-9 Cable Release. It is 12" long. I am the original owner. Counterfeits abound and they will give you nothing but grief. YOU WILL RECEIVE THE ACTUAL ITEM SHOWN IN THE PICTURES.